Dan Treon focuses on helping people who have been injured (plaintiff's personal injury cases) and people who have experienced losses and are denied appropriate coverage by their insurance companies (insurance bad faith cases). The types of cases he handles include car accidents, product liability, premises liability, insurance bad faith, wrongful death, serious falls, dram shop cases (in which a bar over-serves alcoholic beverages to a patron, leading to an accident), government liability and civil rights. Dan is known and respected not only for his tenacity in trial and refined courtroom skills, but for his ability to negotiate fair and just settlements for his clients before trial. He is accomplished in the courtroom, but also understands how to tend to the special needs of injured people in need of competent, dedicated legal services. 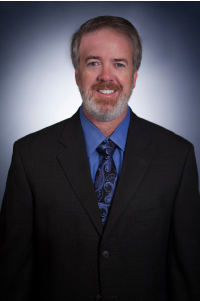 Dan began his legal career in 1993 at the Maricopa County Public Defender's Office, where he gained significant trial experience handling all levels of criminal cases including the most serious non-death penalty felonies. He then started his own firm, where he began to focus on representing injured people as well as handling criminal defense matters. 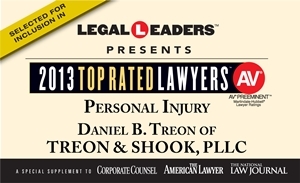 Dan formed a small law firm in 1999, and that firm has grown into Treon & Shook, PLLC. Dan and his partners have enjoyed practicing together since 2004. Dan practices in all State and Federal courts in Arizona as well as the 9th Circuit Court of Appeals. Dan is a "near native" of Arizona, having moved to Phoenix in 1968 at the tender age of two. He went to Brophy College Preparatory and earned his B.A. from Lewis & Clark College in Portland, Oregon. He moved to Japan after college to study Japanese, but soon realized that being a lawyer was in his DNA. He followed in the footsteps of his remarkable father, Richard Treon, and attended law school at Washington University in St. Louis, Missouri, where Dan participated in the joint J.D./M.A. program in Asian Studies. After one year of borrowing far too much money for school, Dan transferred to Arizona State University's College of Law, from which he graduated early in 1992. Dan lives in Phoenix with his wife, Karen, and tries very hard to keep up with their three young daughters.